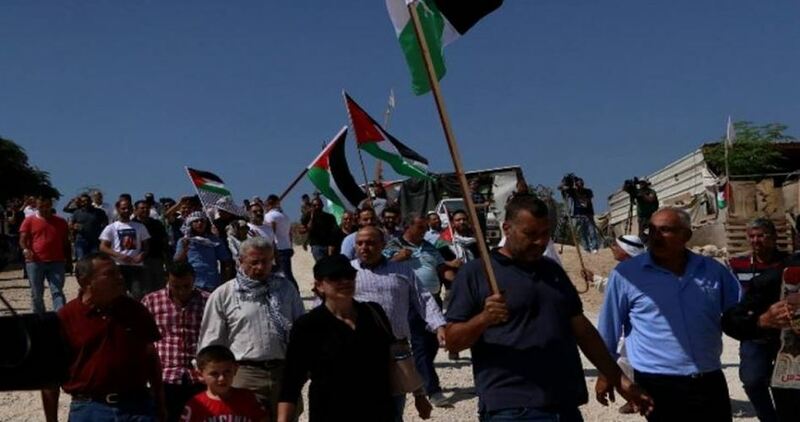 Palestinian families and activists staged a protest on Saturday for the 137th day in Khan al-Ahmar, east of Jerusalem, against an Israeli plan to demolish the village. Israel’s Supreme Court in May ruled for demolishing the village and its only school at any time deemed appropriate by the Israeli government, then decided later to delay the demolition until further notice. Palestinians from different areas in the West Bank have been protesting over the past weeks in the Bedouin village to support its residents who are threatened with forcible transfer to another area that lacks basic life services.